Rescuers rushed to assist a 51-foot yacht that had suffered engine failure and was taking on water in The Solent on Saturday. 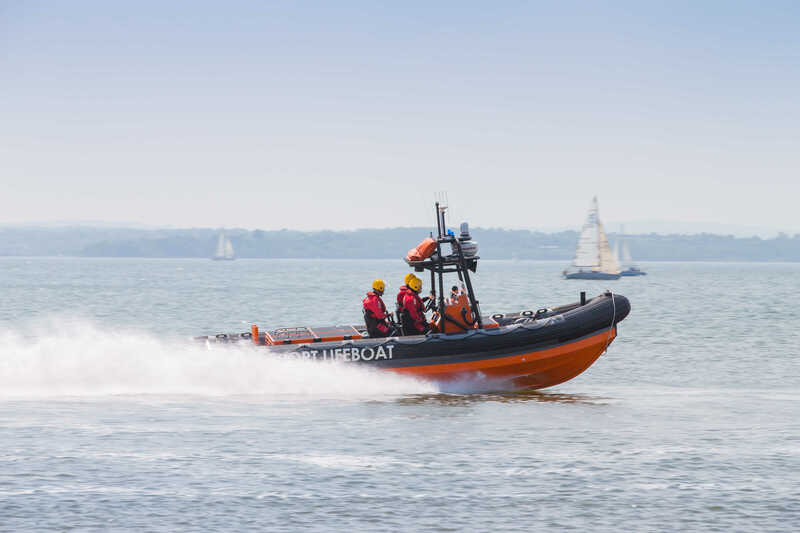 The yacht – which was just off Osborne Bay, Isle of Wight – raised the alarm with UK Coastguard at 1430 and Gosport & Fareham Inshore Rescue Service (GAFIRS) was tasked to assist. Gosport independent lifeboat was quickly on the scene and placed a crew member on the casualty vessel which had just the skipper on board. GAFIRS coxswain Pete Byford said: ‘My crewman quickly rigged a towline and found there was around 75cm of water in the yacht and that the engines had failed. The rescue came at the end of Cowes Week which had seen Gosport independent lifeboat station manned by its volunteer crew every day.